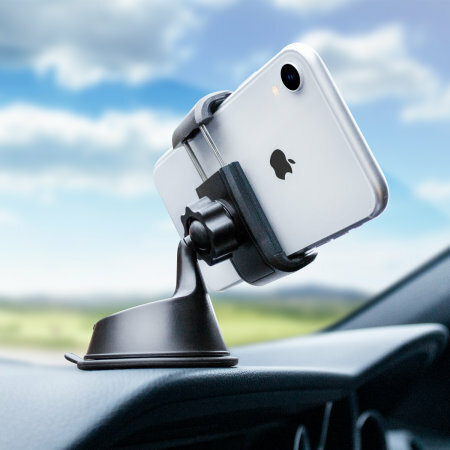 With a 3-in-1 design and easy to install the Olixar TriMount keeps your smartphone safe and secure on your dashboard, windscreen or air vent. Terrific product. Comes with a vacuum assisted reusable sticky mount as well as a vent clip so I can move from one vehicle to another easily without the fiddle of un-clipping and re-clipping etc. Fits all sizes of phone too especially the new oversized phones. 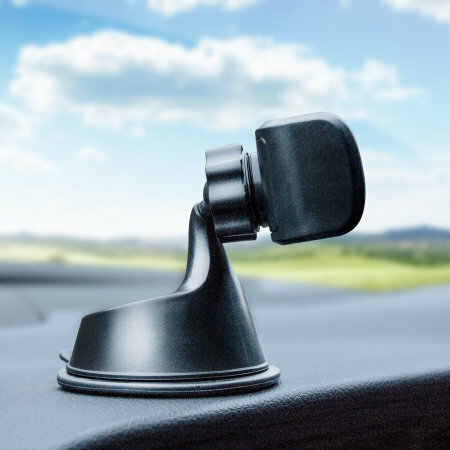 The Olixar TriMount Universal Car Holder can be mounted in various locations within you car thanks to an interchangeable design. 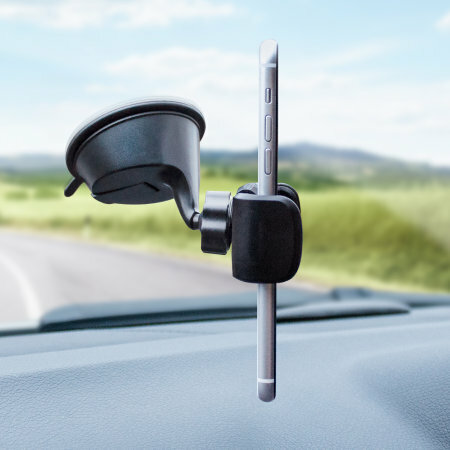 Mount your smartphone to either the windscreen, dashboard or air vent, making it ideal to use your phone as a sat nav or view information safely and legally while driving. 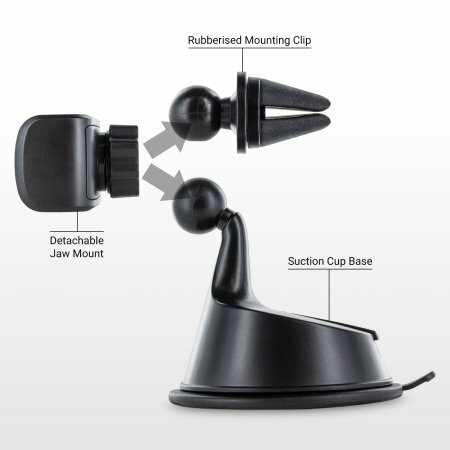 The Olixar TriMount Car Holder features a suction mount, which adheres to almost any flat surface for a secure fit. This means that no matter what you're holding and where you're holding it, the mount will have you and your device covered. Attach to your vehicle's windscreen or dashboard, so you can view your phone hands-free and within a comfortable viewing angle. There's more though... The large base at the bottom of the Olixar TriMount Car Holder allows you to mount your phone to almost any non-porous flat surface - glass, plastic, metal, wood and even drywall. 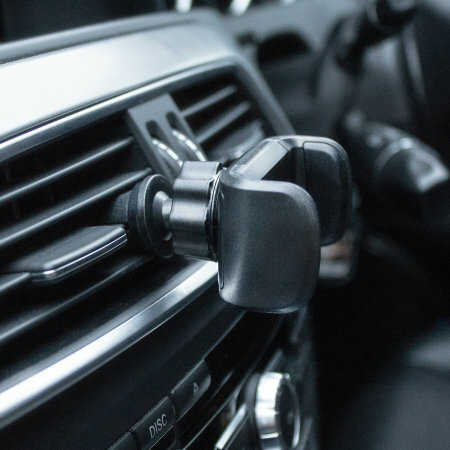 The rubberised mounting clip on the back of the holder allows you to slot it easily onto the air vents in your vehicle. Once slotted into position, the Olixar TriMount will provide a firm and stable hold that you need when mounting a smart device. The wide-jaw clamp expands from 52mm to 78mm allowing for it to easily accommodates devices with a screen up to 6 inches, providing universal compatibility for a wide range of phones and so called phablets (super large phones) including the iPhone XS Max and Samsung Galaxy Note 9. 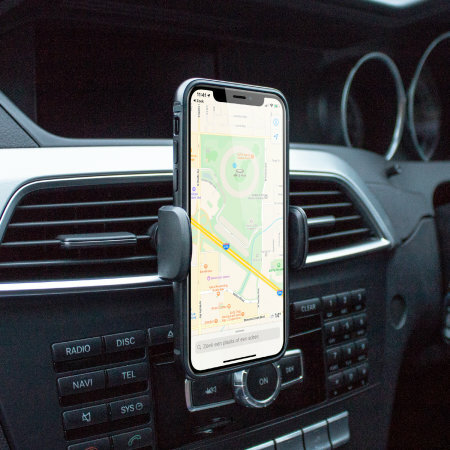 This also ensures that if you upgrade your device or own multiple phones, the Olixar TriMount Car Holder is ready for action now and in the future. 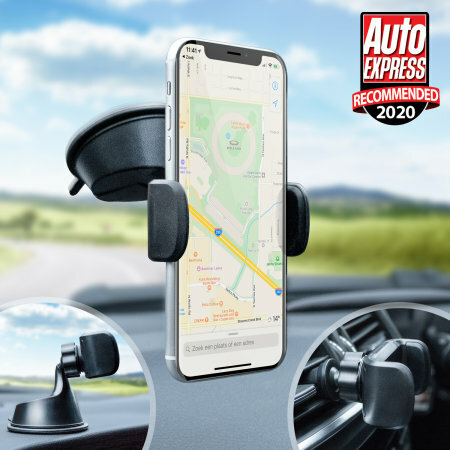 The Olixar TriMount Universal Car Holder's ball and socket joint rotates through a complete 360°, allowing you to quickly and easily find a comfortable angle when driving. This is ideal to find a perfect viewing position, especially when using your smartphone as a sat nav within your car. Suitable for phones with or without a case on as the holder stretches right up to 85mm. This allows it to secure the vast majority of phones, regardless of how thick the case attached is. To clean, simply wash under cold water and dry and your Olixar TriMount Universal Car Holder will return to maximum suction. Please note: this product may not be suitable for dashboards with an unusually complex surface texture or extreme curvature.